This text is beta v1 of the Media 101 Text – a collaborately curated text for media and communication studies students in New Zealand, Australia and the Pacific. A group of academics and librarians across Australia and New Zealand got together at their respective campuses to collaboratively write — or ‘hack’ this open textbook on Media Studies in 2013. 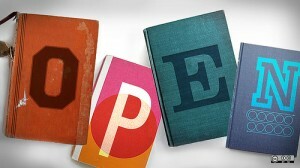 The BC government is working with BC Campus to develop free, online, open textbooks for a variety of popular subjects. The project will result in freely available textbooks for web or mobile consumption, or for download which can be printed by instructors and students for use in their courses. BC Campus has a link to a selection of existing textbooks they have been reviewing on their website in a variety of disciplines. Openstax offers free textbooks developed and peer-reviewed by educators to ensure they are readable, accurate, and meet the scope and sequence requirements of your course. Open textbooks, manuals, annotated texts and guides available in a wiki editor. Wikibooks contains nearly 2500 books available freely for editing.